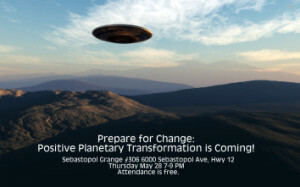 Prepare for Change: Positive Transformative Change is Coming ! I want to thank and congratulate Elisabeth Whitney on this excellent article. I warmly recommend that you read it yourself and then use it to awaken others around you to the time of change that is approaching at the speed of Love as AM says. Elisabeth has interviewed Cobra on 2-3 occasions and in this article she has a comprehensive yet short overview of our entire situation now here on Gaia explaining also what lies ahead. There really is no time to dally any longer if you have a feeling inside you that “I ought to inform M— now about what I know is coming soon” it’s time now to inform anyone that might be of greater assistance when the day is here in keeping people calm and harmonious. LISTEN to any ideas that are popping into your head right now regarding how you can spread the word to others. 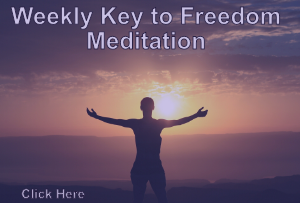 It doesn’t matter if they seem to be ‘whacky’ ‘crazy’ or even ridiculous, you are being guided now by your higher self to know what needs to be done now. Also a reminder about the CLB i.e. Community Leaders Brief available here on PFC for downloading. Prepare for Change: Positive Planetary Transformation is Coming! Strangely enough it is not shown here as being available in Swedish but I have a copy in Swedish myself made by a diligent small group of Swedish translators about 18 mths ago when we earlier had all of the translations up here on P for C. There is hard work being done now behind the scenes to reestablish translations. Is there a way to connect to this site? There is no lay out left once a translated brief is downloaded. Should the leaders briefs not be on the first page?